An ecologically sensitive development model for a fuming world, by Keith Schneider. Even toward the end of a blistering four-year drought in California, it was sometimes hard to tell much was amiss. Dirt-lined canals in northern California were filled to the brim with water destined to irrigate thousands of hectares of rice, sunflowers, peaches, corn, soybeans, and all manner of California’s agricultural cornucopia. Unlike in the southern reaches of the Central Valley, there were no signs of the empty spaces of brown dirt where tomato fields lay fallow, or where laser-leveled orchards had been ripped out under duress. Quite the contrary, bullet-straight two-lane highways passed by new orchards under cultivation, the roots of each infant tree politely dressed in swirls of drip irrigation line and saluted by the short, red plastic stake of a single spray irrigator. More surprising were the throngs of sunburned bathers and Jet Ski operators enjoying the deep, cooling depths of two blue and bountiful manmade lakes that flank Highway 162, the primary route to climb the Sierra foothills to Oroville Dam, the source of all this water. At the nadir of the drought last summer, the view from the dam’s spillway described a much different story than the full canals and recreational lakes. California’s second largest reservoir was less than half full. A bathtub ring of rock and soil 200 feet wide circled the lake like a light brown rebuke to the will of its essential purpose. In many ways, Oroville Dam—the tallest dam in the United States—is a relic of twentieth-century California, a reminder of a time when we looked to enormous engineering projects to remake Earth for our benefit. The twenty-first century calls for a different approach, and California is responding. More so than in any other state in the United States and nearly any region of the world, Californians have shown a capacity to recognize and reckon with deep drought, high heat, sea level rise, insect plagues, wildfire, and many more of our current, high-risk ecological realities. California is responding with targeted, sometimes statewide, but often smaller, local solutions to the problems facing every person on the planet. In this way, what we might call a California code is contributing to developing a new global operating system for the future. Look at Oakland. Well before it became standard operating practice in progressive cities, Oakland established a state-of-the-art watershed protection program that released creeks from their concrete straitjackets and simultaneously cleaned up stormwater. That saved the cost and energy needed to operate pocket treatment plants and beautified the city. The city also converts biological waste to methane that fires turbines that generate most of the electricity for its wastewater treatment plant. Or take Maxwell, where growers stopped fighting the requirements of the federal Endangered Species Act and started a Sacramento Valley project to install screens at the end of irrigation pipes that are helping to increase the river’s salmon runs. Or Modesto and Turlock, which are closing in on plans to pump treated wastewater to irrigate Central Valley farms and orchards in Patterson. Or the western side of the Klamath Mountains on the North Coast, where tribes and communities are working together on controlled burns to thin forests that are fueling monstrous wildfires. Now here’s the requisite paragraph that admits that California is no Eden. Residents are all too aware of the crowded living conditions in a state that has twice as many people as it did in the mid-1970s. Some communities on the east side of the Central Valley don’t have running water. In Los Angeles County, a natural gas leak spewed tens of thousands of tons of methane into the atmosphere for months before it was stopped up. Residents everywhere recoil at real estate prices and the cost of living. Earthquakes are an ever-present hazard. Wildfires are a menace. The gulf between the rich elite and the struggling working class is as wide as it is in any state. In a time of immense grumpiness and cynicism, the list of complaints and criticisms is endless. In any given year, Californians confront real emergencies—dangerous floods, wildfires, earthquakes, drought. The twenty-first century has added intense heat, sea level rise, and a plague of Sierra forest-killing beetles to the list. Perhaps because Californians exist in a perpetual state of precarity, they have been more willing than many to respond proactively to new environmental threats and challenges visible on the horizon. At the community and state levels, California has elevated ecological sensitivity as a powerful driver of economic progress. States of the Pacific Northwest, Vermont, Ontario, northern Europe, Costa Rica, Panama, Israel, and even Mongolia are among the select number of places that are pursuing something similar. Perhaps only Germany matches California for the comprehensiveness of its approach and the speed of the economic transition it has fostered. 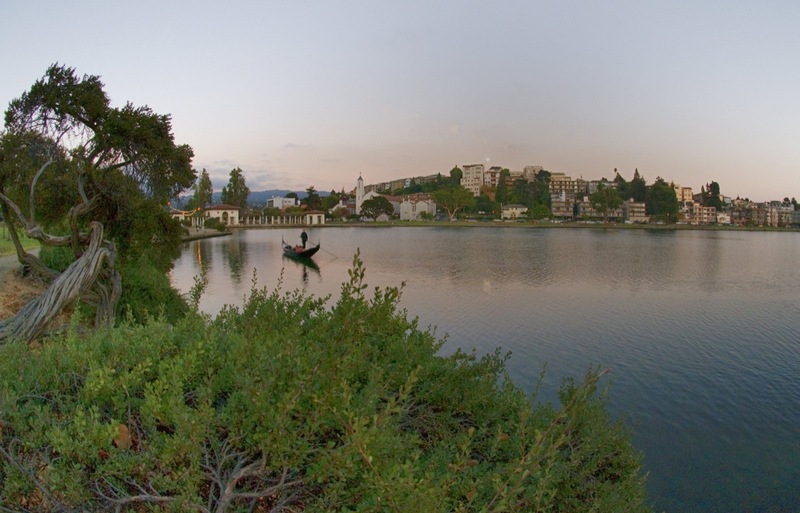 Lake Merritt in Oakland, California. Photograph by Flickr user Hitchster. But even for a skeptical reporter who’s been on the frontlines of fierce contests for resources globally for decades, and who’s encountered corruption and government mismanagement at epic scales, what’s occurring in California is truly an inspiration. And in a nation and a world that sometimes seems largely indifferent to the plight of our planet, it’s a huge relief. As I tell friends and colleagues, “thank goodness for California.” We might actually see a way forward here. Living in a state formed from the rush for gold and nurtured by the bright sun, Californians have not always perceived their state as imperiled. In the twentieth century, when California had more moisture, fewer people, and seemingly unlimited moxie, Californians believed they could overpower and subdue the land. The prevailing economic model was based on consuming ever more water, energy, soil, and land to build big centralized projects—big power plants, big oilfields and mines, big transmission systems, big highway networks, big farms, big suburbs, big houses, big malls, big cities. Managing enterprises of such scale called for spending enormous sums of money on supplies—energy, water, food—and on equipment—trucks, cars, factories, water pipes, power lines, air conditioners. Keeping order required massive hierarchical, vertically integrated institutions—governments, banks, industrial corporations, universities. The enterprise worked well for a while because it fit market conditions. Energy and water were plentiful and cheap. Land was available and comparatively inexpensive for farms and for suburbs. Populations were smaller and more stable. Government treasuries were growing and so were working class salaries. Ample government, business, and personal wealth built the roads, water systems, transmission networks, and supply lines that kept the enterprise running. The Oroville Dam, completed in 1968, and Lake Oroville behind it, are apt examples. Among the largest of the West’s dams, and capable also of generating nearly 800 megawatts of hydroelectric capacity, Oroville Dam fit the American twentieth century’s development strategy of building big, centralized, expensive, and durable economic infrastructure. The dam and its reservoir are fixtures in the state’s essential water-supply network, which collects freshwater from the north and distributes it through a network of rivers and canals to farms and cities throughout the state. California would not be California without its surface water collection, storage, and transport system. Underlying so much of the economic and ecological turmoil unfolding in California and the rest of the world now is a slow collision between the operating systems of the resource-wasting, vertically managed twentieth century and the much more volatile ecological and economic conditions of the twenty-first century. The old order, it’s clear, is undergoing a severe stress test. The Oroville Dam perfectly represents the twentieth-century conceit that Californians had dominion over California. A drought-depleted Lake Oroville—like many other reservoirs displaying their alarming bathtub rings—became an apt object lesson for California’s challenges in the twenty-first century. California state is getting hotter. And it’s increasingly clear that California’s twentieth-century network of dams and canals don’t function the way they were intended unless Earth’s climate cooperates. And thanks to us, the climate is increasingly not aligned with that twentieth-century vision. The power of nature to unleash its fury and subdue mankind’s surprisingly flimsy transactional systems—canals, roads, transmission lines, airports, pipelines, seaports, food production, and distribution networks—becomes clearer with every passing year. California’s response to the drought is even more nationally and globally significant than that. What state and local leaders did to reduce the risks, and how state residents reacted, was a very public demonstration of government’s capacity to act with reason and intelligence to a short-term ecological emergency, with a long-term vision. The reason is that Earth is fuming. Hurricanes have drowned two American cities. Mammoth wildfires burn hotter and hotter in fuel-stoked forests where fire was deliberately suppressed for a century out west. Toxic algae contaminates drinking water drawn from warmer and more polluted rivers and lakes all over the world. An earthquake this year damaged fourteen hydropower dams in Nepal. In June 2013, a vicious flood that scientists linked to climate change killed thousands of people in Uttarakhand, India, and wrecked that Himalayan state’s hydropower sector. A tsunami in the Pacific Ocean in 2011 killed 16,000 people and shut down Japan’s seawater-cooled nuclear sector. Deep droughts have been especially dangerous. Brazil’s largest city joined America’s largest state, and nearly all of Iran and South Africa in contending with serious water scarcity. A twelve-year dry spell in Australia’s food-producing Murray-Darling basin ended in 2010, but not before it caused the largest rice industry in the southern hemisphere to collapse. More than 1 million metric tons of rice vanished from world markets. Australia’s wheat growers, typically the world’s sixth largest exporters, managed to harvest just over half of the 20 million metric tons of grain they normally produced. Both harvest failures contributed to rising grain prices. And don’t forget that rising food prices helped to touch off the Arab Spring in 2010, while the civil war in Syria was fueled in part by four years of drought. When world leaders gathered in Paris at the end of 2015 for the United Nations climate talks, they committed themselves—as representatives of nearly every country on the planet—to reducing climate-disrupting greenhouse gas emissions. But the actual work of reducing those emissions doesn’t begin with world leaders at climate summits, it begins with leadership in states, cities, and municipalities. In California, that work began decades ago. 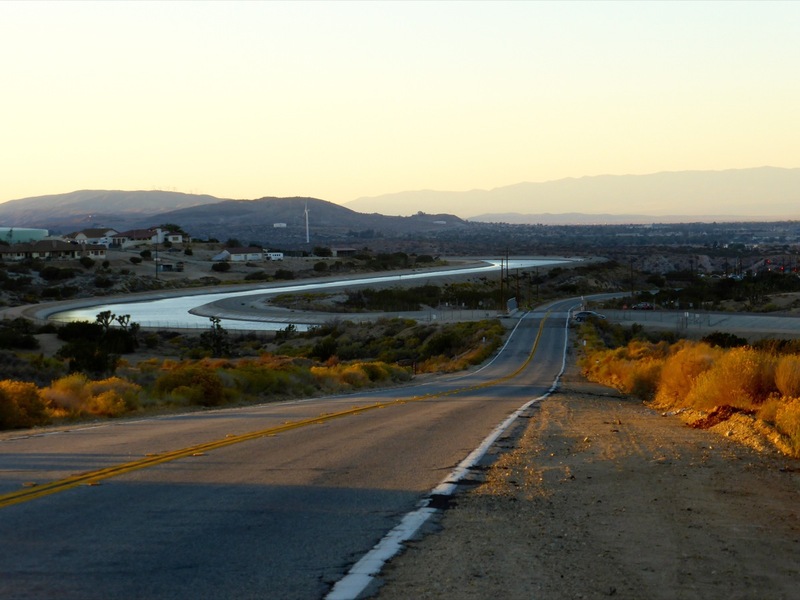 California Aqueduct crossing the San Andreas Fault in Palmdale, California. Photograph by Michael R. Perry via Flickr. Oakland’s transformation is particularly indicative. In energy efficiency, pollution control, and waste management, Oakland is setting national standards of policy design and performance, thanks to three programs that form the foundation of the city’s work. Then-mayor Jerry Brown put a plan in place in 2006 to cut Oakland’s production of solid waste to zero by 2020. Four years later, a 2010 green building code and standards required new home, office, retail, and recreation buildings to be much more energy efficient. In 2012, an “energy and climate action plan,” among the country’s most ambitious, set the goal to cut carbon emissions 36 percent by 2020. Oakland, it turns out, was among the first cities in California to design and enforce energy-efficiency standards for new homes and buildings. With the help of StopWaste, a local organization, Oakland, in 2000, was one of the first cities in the country to adopt an ordinance requiring that 50 percent of construction and demolition waste be recycled. In 2005, Oakland was among the first cities in the country to adopt a green building ordinance for municipal projects. In 2006, the city encouraged new homes and offices to be green by creating incentives for green developers and in 2010 strengthened the program by requiring energy-efficient certification for large commercial projects, and for single-family and multifamily homes. Oakland was among the first cities in the country to adopt a green building ordinance for new homes and offices, and in 2010 strengthened the program by offering technical assistance to builders. A good bit of the city’s green building codes and programs were embraced in CalGreen, the state green building code. Oroville Dam Viewpoint. Photograph by Wayne Hsieh, via Flickr. In 2009, pressed by West Oakland’s Ella Baker Center and Van Jones, its charismatic Yale-educated founder and director, the city started to develop this plan, which was consistent with the 2006 state climate emissions-reduction statute. Governor Jerry Brown has since signed an executive order that puts the whole state on the path to reduce carbon emissions 40 percent below 1990 levels by 2030. With city and state carbon-reduction limits in place, Oakland has set out to meet them. The city has audited its buildings, analyzed its fleet of vehicles, and reviewed its solid-waste infrastructure with the clear goal of being more efficient. A big downtown parking garage, for instance, has been rewired, relit with low-energy lighting and controls, and outfitted with electric-vehicle recharging stations. The retrofit, according to city figures, saves $55,000 in annual operating costs and 343,000 kilowatt-hours of electricity, equivalent to 111,000 kilograms (246,000 pounds) of CO2 emissions annually. In the waste management arena, Oakland is similarly focused on reducing the generation of energy-wasting trash and recycling, both of which translate into carbon-emission reductions. Oakland’s aggressive “zero waste” recycling program is steadily reducing the amount of home, business, and construction waste destined for landfills. Every ton of corrugated cardboard that is recycled reduces carbon emissions by four tons. Recycling a ton of plastic saves about two tons of CO2 annually. The new requirements for green waste and recycling will save an average of 496,000 tons of CO2 annually in Oakland, according to city projections. In many ways, caring for a city is not unlike parenting a child. It can take a generation of careful nurturing for the results to become apparent. Oakland’s growing tech sector, its rising property values, and its restored parks crowded with visitors are evidence of the city’s vitality. In the guts and bones that support the city, there is much more to do, though, to reach Oakland’s goal of 36 percent carbon reductions by 2020 or to achieve zero waste production. Heavy truck and passenger-vehicle traffic through the city still accounts for 40 percent of carbon emissions. The transition to electric vehicles is far off. The city counted just 1,700 homes powered with solar energy in 2014, a fraction of Oakland’s total residences. Pacific Gas and Electric (PG&E), the big electric utility, says it is on the way to meeting California’s requirement to generate 33 percent of its power with renewable fuels by 2020. But the utility still relies on natural gas for 27 percent of its generating capacity, according to company figures, and operates a 600-megawatt gas-fired electric-power generating station near Oakland. The generating station’s big claim to resource-efficiency is its low water consumption. The plant is air-cooled, which the utility reports uses 97 percent less water than older water-cooled power plants. Still, by most measures of economic vitality, environmental quality, and civic energy, Oakland is doing well. Oakland was one of the twelve American cities selected to join world leaders as part of the Local Climate Leaders Circle at the United Nations Climate Change conference in Paris in December. Mayor Libby Schaaf and eleven other colleagues were in Paris to display the capacity of cities to limit emissions of greenhouse gases. The effect of these and other measures is that residents of Oakland and other cities may be constructing a new kind of California dream that is cleaner, more resource efficient, less polluting, and more right-sized for its time. The city’s streets are lined with new housing and parks that boast clean natural streams that once were concrete-lined culverts. The city’s port, one of the country’s largest, provides electric power to arriving ships to end the use of polluting diesel generators while they are loading and unloading. While these new indicators of progress gain momentum, many of the old indicators, such as job growth and business starts, provide a powerful counterpoint to old conventional wisdom that reducing climate emissions and pursuing energy development that avoids fossil fuels could cripple the economy. California’s unemployment rate, 5.8 percent in October 2015, is half what it was in 2010. The state has been adding 50,000 new jobs monthly. Business starts are way up. Meanwhile, a steady stream of late-model cars and apparently content visitors arrive at the Oroville Dam to gauge the lake’s surface. The blue-green water and sable-colored tub ring are a tableau of instability, a sign of unyielding water scarcity and ecological risk. But the murmurs of concern and the long gazes don’t express fright. It’s California. The state has a plan. It’s working. Image at top: Irrigation ditch in Grass Valley, California. Photograph by Erin Johnson, via Flickr.